Our bulk packaged Cinnaroll cinnamon rolls and minirolls are conveniently packed in larger quantities for food service needs. Each cinnamon twist is hand twisted with layers of tender Danish pastry and brown sugar cinnamon and then baked to perfection. 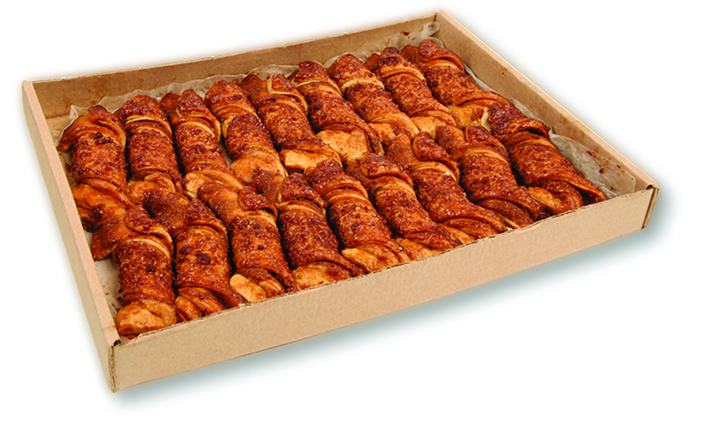 Our bulk packaged cinnamon twists are conveniently packed in larger quantities for food service needs.